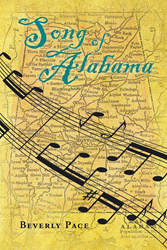 Recent release “Song of Alabama” from Page Publishing author Beverly Pace is an expressive and raw work about the main character’s emotional struggles as she takes on the role of teacher for a group of World War II German POWs. She begins to see them as the young men they are, and not just the enemy soldiers everyone believes them to be. Beverly Pace, a former English professor, devoted writer and author, has completed her new book “Song of Alabama”: a passionately crafted work that follows Anna Newsom as she begins to open her mind and heart to the men who are viewed as the enemy. Published by New York City-based Page Publishing, Beverly Pace’s faithful work depicts the strength and resilience of faith and love. Anna Newsom had led a quiet life until World War II German POWs were brought to her small Alabama town to a work camp to spend the duration of the war. With no money for college, Anna needs a job and she is picked to take books to the prisoners. With her own brother off at war, and fighting her family’s disapproval, Anna struggles with feelings of disloyalty but finds herself relishing her visits to the prison camp as she takes on the role of teacher, sharing her love of history and literature, and even her faith with the prisoners. As the war drags on, Anna takes comfort in the fact that she, like her brother, is making a difference in the war effort. She slowly begins to see the prisoners as young men who are also tired of war and want to start a new life. Anna becomes close to one prisoner in particular, a man named Klaus, who is a leader to the men but he has lost his way spiritually. Due to circumstances from his youth, Klaus no longer believes in God, and although he is drawn to Anna, he cannot share her faith. Anna begins to question her judgment, her feelings, and her faith as she falls in love with Klaus. Knowing that no one close to her would accept a relationship with the enemy, Anna finds herself isolated and afraid of what the future will bring. Readers who wish to experience this gripping work can purchase “Song of Alabama” at bookstores everywhere, or online at the Apple iTunes store, Amazon, Google Play or Barnes and Noble.